Gone are the days when people were content with a simple HTML year-2000 user interface. Because as technology evolves, UI web design trends also get bigger and better. For even design trends are no strangers to being reflections of this era’s constant and fast-paced evolution. As a user, perhaps you even noticed how different websites appear nowadays. And if I asked you which would you prefer; the plainly HTML one, or today’s jaw-dropping designs? A person living in this generation would most likely prefer the latter. Lately, all the attention has focused largely on developing complex visual effects and user-sensitive interactions. And that’s why today, I’ll be highlighting five of the many UI web design trends that are all set to leave even bigger impressions this 2019. As I’ve established earlier on, it’s obvious that UI web design trends aren’t just limited to five. There are more. But the five I’ve chosen to discuss and provide samples of here are the UI web design trends I’ve been seeing plastered over the web a lot lately. Plus, this could also be great inspiration fuel for you and your creative mind, so here are five popularly implemented UI web design trends so far this year. Classy neutrals will always have a place in every UI designer’s heart, but his year’s UI web design trends are all about choosing vibrant color palettes — even more so if your site’s image and messaging is a perfect match for using lively colors. This general trend was borne out of various other color-related trends sparking out over the last few years. From bright image overlays, animations that feature colors in movement, to the incorporation of gradient backgrounds; they all contributed to lively colors for sites gaining popularity. The great thing about this UI web design trend, is that once you have a palette, it’s pretty simple to implement. There’s no complete need to redesign a website, stripping it down to the bare codes — just changing image layouts. The appeal in oversized headlines for many websites and mobile apps lie in the fact that it puts more weight on the company’s important message. In addition, you increase the likelihood of your users reading it. But for that to happen, developers must add a lot more room for messaging. This translates to more negative space around your headlines with regard to how elements are placed and spaced out with each other. Also, oversized headlines require careful font selection. It may be appealing to choose fancy curves and jagged lines, but if it ruins the headline’s readability, don’t even think about incorporating it. Headlines are meant to be read after all, and they are meant to grab your users’ attention. So, use a font that’s easy to read. As one of the most powerful tools to have in a UI designers’ toolbox, unique and compelling illustrations are one of the strongest visual assets a website can have. At times, it’s what your users will remember, and in the long run, associated with a lot of your products. 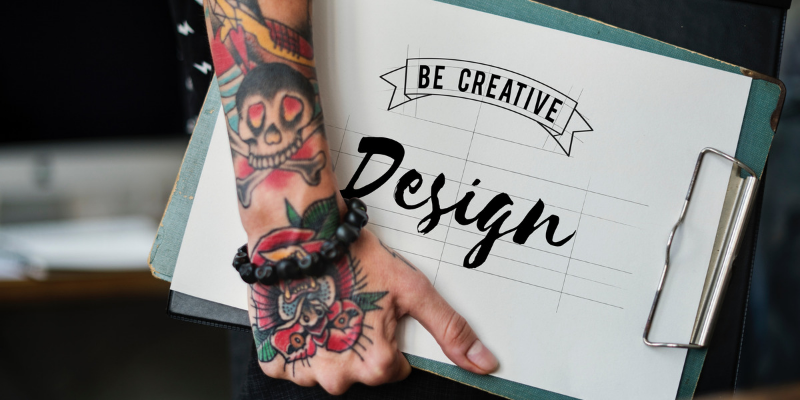 In addition, the use of illustrations (whether it’s an abstract doodle, a compilation of different geometric shapes, etc) are great tools for communicating complex ideas, telling stories, and evoking emotions among site visitors. Animation — especially ones embedded into functional buttons, aren’t new trends. But it stays relevant to this day all the same. The number of websites and mobile apps that have embedded functional animation into the very core of their user experience is too many to list off one by one. Functional animation — as one of this year’s greatest UI web design trends, works to draw users’ attention to specific elements of the web design; as well as detail the relationship between objects. But aside from making use of animation to highlight an app’s or site’s functionality, many will make use of animation to create scenes for a mini-story. And of course, animation is for prompting continuous engagement, as well as establishing visual identity. Flat designs are attractive, but three-dimensional rendering is the update all set to stun every user into staying in a website. The result is a lovely mix between flat interfaces and 3D realistic imagery. I bet you’d be lying if you said you don’t find this visually appealing and interesting — especially if it were in an e-commerce site. It’s a tiny smudge of virtual reality in a web design. Plus, you’re not required to do anything special to look at it — maybe except visit the website to see. Everyone knows that for 2019, there is a need for both UX and UI to continue working together to deliver the best experience possible for every user. There is a need to consistently build up diversity and find effective ways to increase the usability of specific interfaces. The better features and options there are, and the more useful content produced, the better the overall user experience can be. Want more articles tackling different subjects about design and development? Look around Scoopfed some more.